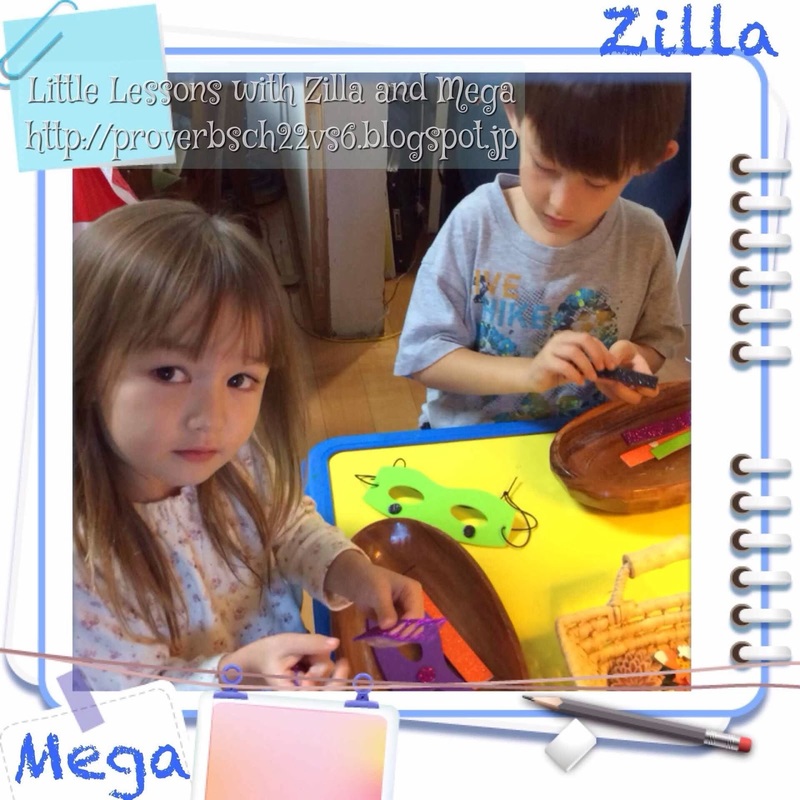 One of Zilla's recent interests is helping out with cooking. He can be a very good helper when he's in the right mindset. We recently acquired a plastic knife - the kind used for cutting lettuce - which Zilla has claimed as his. 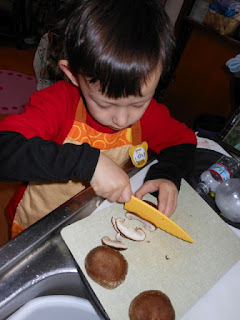 The texture of mushrooms is perfect for him to practice safe chopping! Rather than chop up all the veggies I sometimes "make" work for him by having him use cookie cutters to cut shapes out of veggie slices. 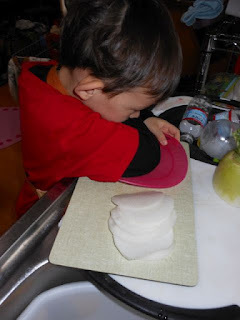 Daikon sliced thin works really well. 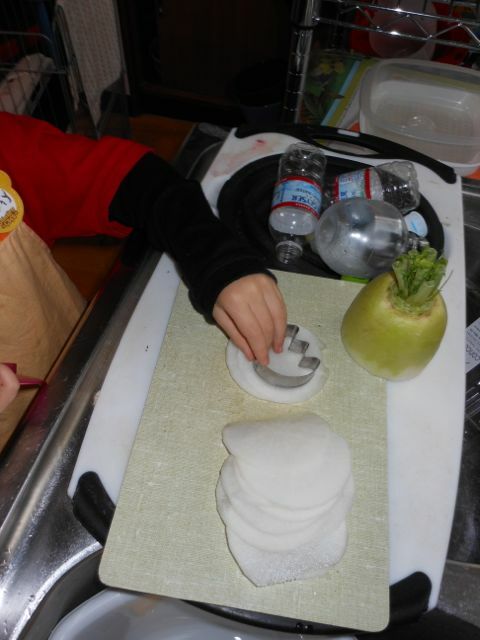 After a while Zilla wanted to try cutting using the cookie cutter with 2-3 slices at a time. He quickly figured out how tough that was so with a plate over the cutter and a bit of elbow grease he made it work!